As a Certified Milgard Dealer With 20 years plus experience in our Industry, We take our role with humility and gratitude. It is our number one goal, to help our clients realize their possibilties. 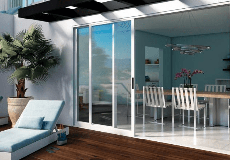 With all of the latest and most beautiful windows and doors options in the industry. Milgard Having the most comprehensive Full Lifetime Warrantee out there, and our commitment to the Best quality, Certified Installation. We believe It is still possible to have a Wonderful Experience with a Qualified Contractor, Commited to Excellence. It is our absolute pleasure to serve our community with confidence and Appreciation.This being said, Please feel free to contact us for any questions, or a free in home consultation. We would Love to help you, and your family find the perfect window or door for your home at a fair price. From all of our team, to you and your family. Nevada Windows & Doors, Inc is rated 5.0 out of 5 by 4. Rated 5 out of 5 by Cassey from Good, Honest customer service! I searched everywhere for answers on my older Milgard windows that were installed in 2001, then I called Nevada Windows and Doors Inc. spoke to General Mgr. Jorge Martinez and got exactly what I needed. Thank you for your time and expertise! Rated 5 out of 5 by profe73 from NEVADA WINDOWS AND DOORS, INC. IS A VERY PROFESSIONAL DEALER The General Manager, Jorge Martinez was very professional from beginning to end. He helped us choose the best window for our house. He explained thoroughly the installation process and the quality of Milgard windows. It was a pleasure to doing business with Nevada Windows and Doors, Inc. and specially with Jorge Martinez as well as his crew. I will not hesitate to call him again for a future job. The work from Nevada Windows and Doors, Inc. was just outstanding. Rated 5 out of 5 by jbwcp from Great contractor. Stands behind their product As a custom home builder, it's been a pleasure to work with Nevada Windows and Doors. They helped us through the design process and were able to assist in designing a beautiful finished product. When a warranty issue arouse, they handled it with professionalism and in a timely manner. I will definitely use them again. Rated 5 out of 5 by Lolly from Strongly recommend Nevada Windows & Doors Inc is a company I strongly recommend. Excellent customer service, professionalism and craftsmanship. Nevada Windows & Doors surpassed all my expectations for beautiful results! !